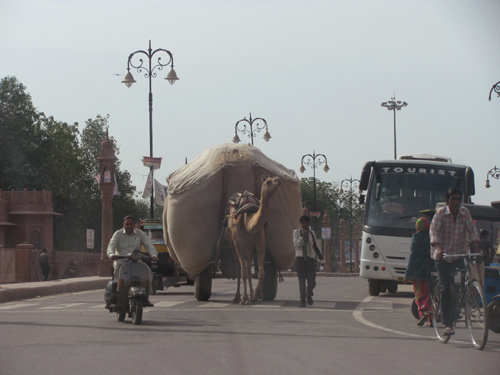 On the way back to the hotel after leaving the camel farm, we passed this incredible scene. It was simply a middle class family home in a modern suburb. Wow! 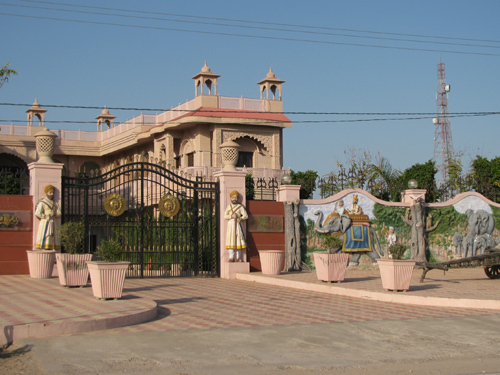 We stopped nearby at a school where students learned the art of miniature paintings. 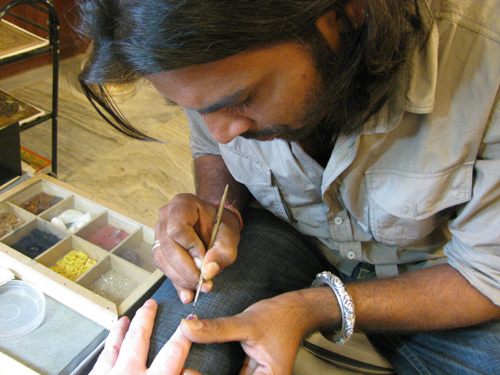 An artist painted my fingernail as a demonstration. 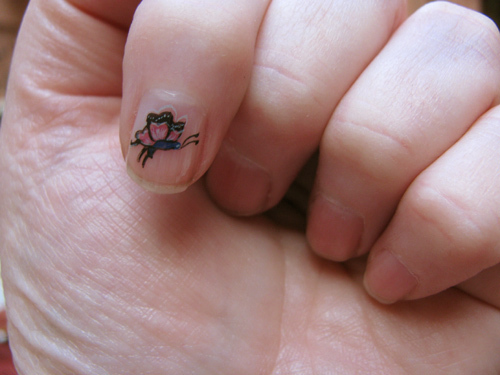 In a few minutes, I had my own miniature painting. 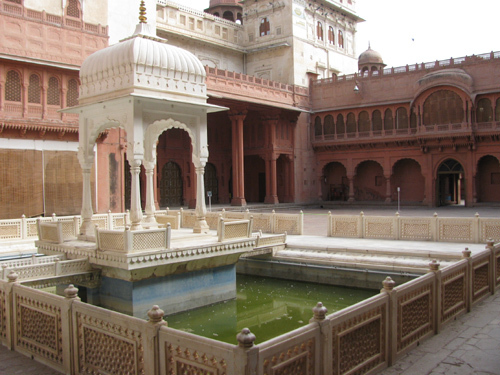 This entry was posted on May 16, 2011, in Bikaner, Rajasthan. 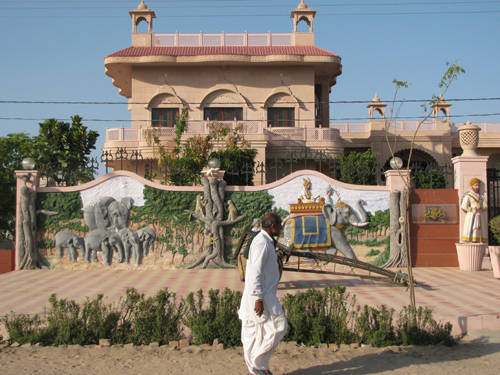 Camels are very important in Rajasthan. You see them pulling heavy loads everywhere. 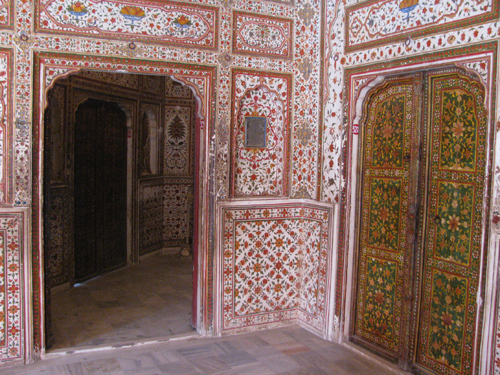 Their wool is used in textiles, and the texture is very fine and soft. 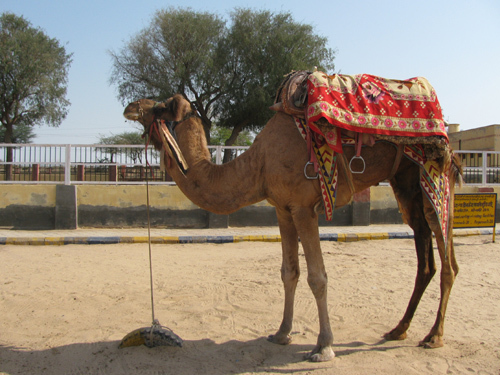 Their bones are used in bead making and small sculptures, and any leather product you see in India will be camel leather. 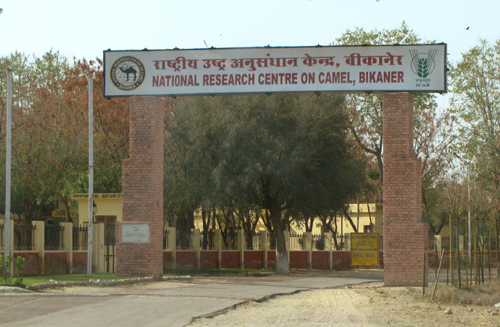 Bikaner is home to the Camel Research Center, which is open to the public in the afternoons. 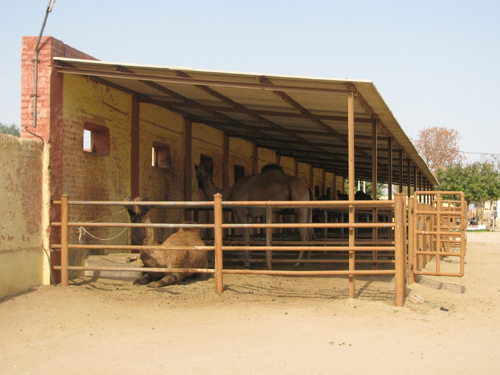 In March 2011 there were 357 camels in residence at the Center. 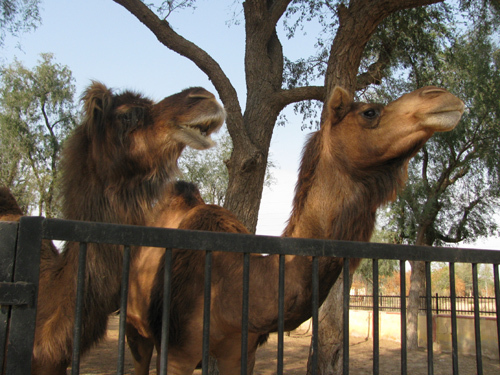 Before coming here, I thought there were only two types of camel: Bactrian ( the two-humped variety) and dromedary (one hump). 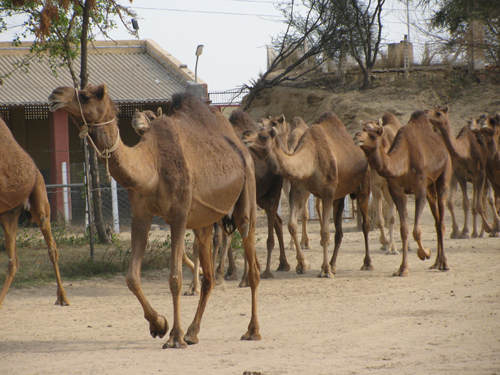 Those are species, and there are dozens of different breeds of dromedary. 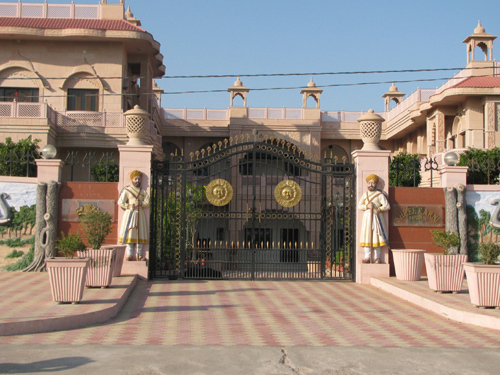 The Center breeds mainly four different types: Bikaneri, Jaisalmeri, Kachchhi and Mewari. 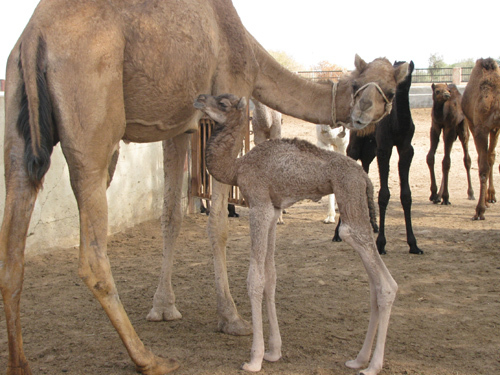 We saw a baby that was only two days old. 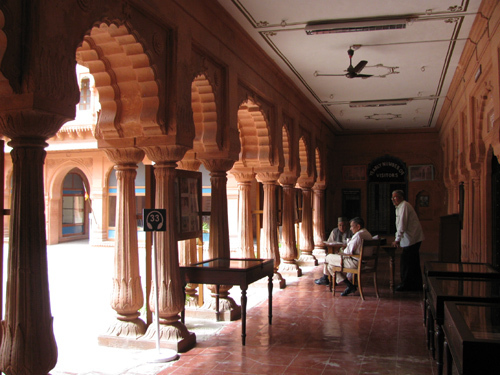 The Bikaner Camel Center had a refreshment stand where you could taste camel milk and camel ice cream. I tried the camel ice cream. There will be an e-book released later this year with the details. 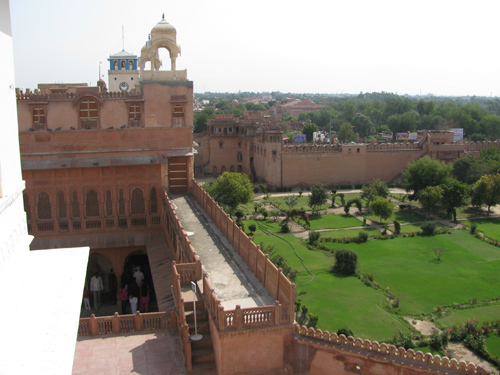 Junagarh Fort was so huge, after awhile I was glad to be trailing behind a tour group. It kept me from making wrong turns and getting lost a few times. 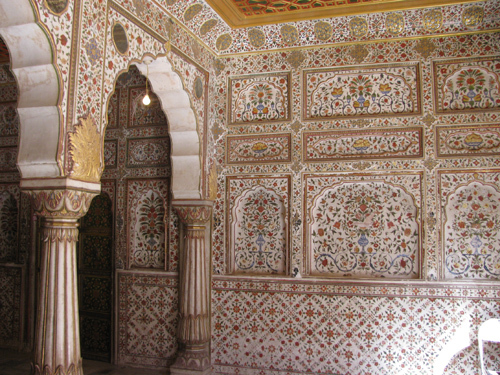 Of all the forts I visited in Rajasthan, Junagarh was the most lavish and spectacular. Here’s a job I wouldn’t want. 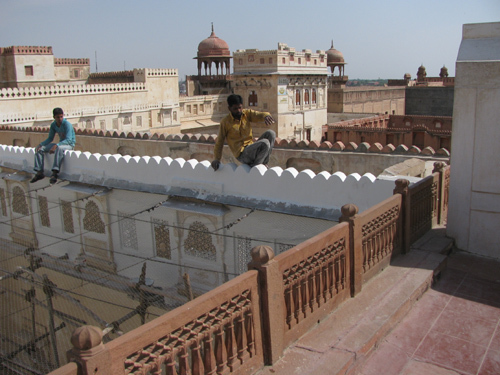 These men had no safety equipment, and there was nothing to break or cushion a fall down below. 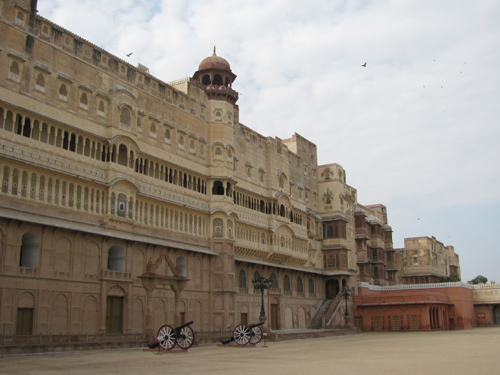 This entry was posted on May 11, 2011, in Bikaner, fort, India, Rajasthan. 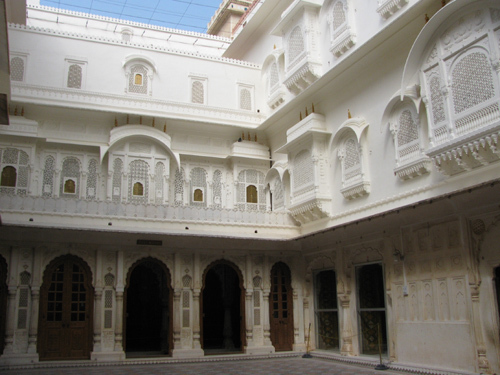 Next morning Prem took me to see the Junagarh Fort. 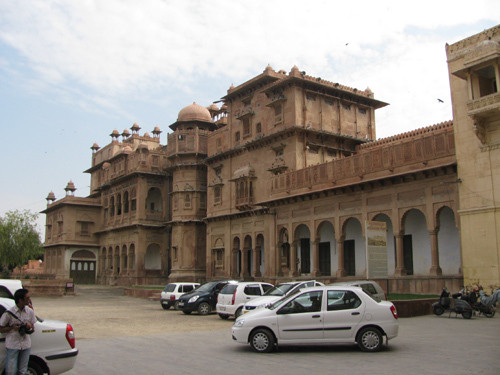 It was against the rules for him to go inside most of the monuments with me, so he stayed with the car. There are always other drivers in the parking lot that he knows, so he always had people to talk to while I was inside. 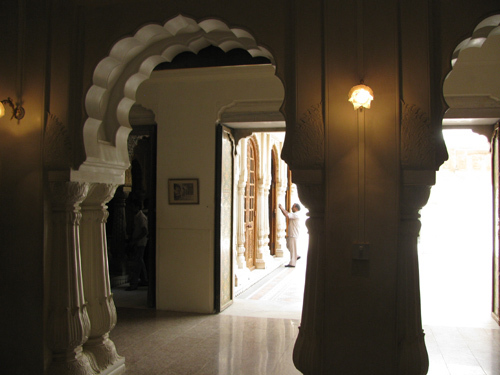 I turned down the free audio tour that was part of the admission. 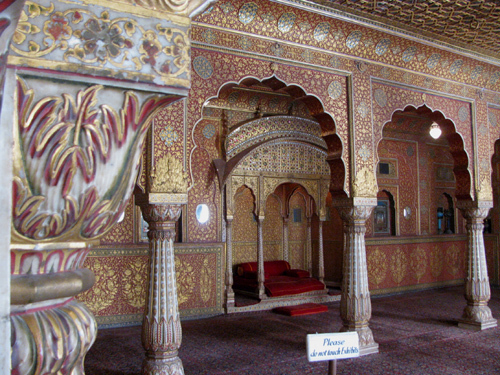 Anything I needed to know about Junagarh Fort I could look up on the internet later. I didn’t want anything distracting me from taking pictures. 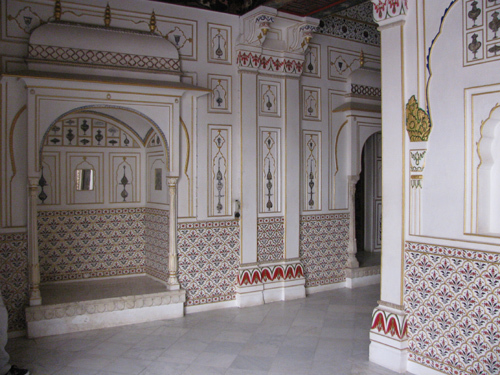 This area was the women’s quarters. 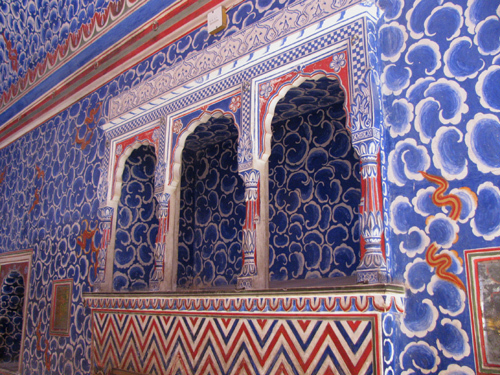 Marble and other stone quarries are everywhere in Rajasthan, which is why so many temples and forts are built in stone. Although I wasn’t officially attached to any tour group, there was a group just ahead of me. 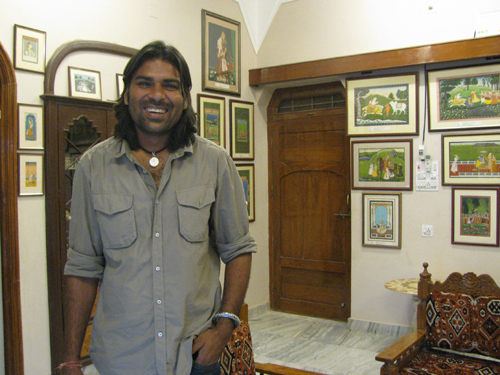 After the guide finished explaining the rooms to them in Hindi, he would approach me, as I was trailing behind, and give me the spiel in English. That was pretty nice, but five seconds later I had forgotten everything he said. 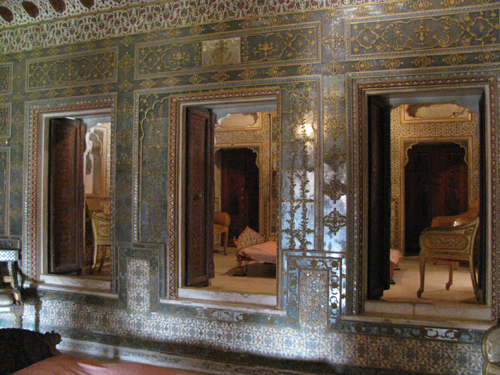 Who could keep any information in their head when looking at rooms like these? 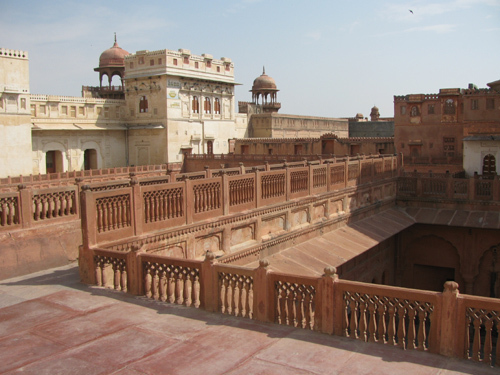 This entry was posted on May 9, 2011, in Bikaner, fort, India, Rajasthan.